"Proving someone's guilt based on oath by a certain number of individuals who even probably haven't been witnesses of the offence, is in conflict with the principles of due process and the rule of law and must be removed from the Iranian legal system." At least two of the defendants who were executed for murder in 2017 were sentenced to death without any evidence against them but solely based on an oath given by the plaintiff's family members. In one of the cases, the defendant insisted that he was innocent and that he could prove that he was in another city at the time of the offence. However, 50 members of the plaintiff’s family gave an oath that the defendant was guilty. 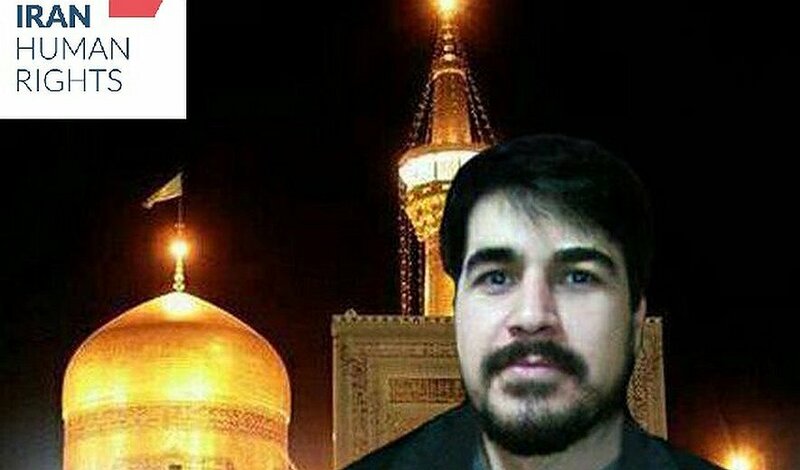 He was sentenced to death and executed in Mashhad on May 23, 2017. Qassameh is a way to prove a crime (murder or injury) in the Islamic jurisprudence (fiqh) which is practiced in Iran. Qassameh, which means "sworn oath", is based on swearing an oath on the Quran by a certain number of people and is performed when the judge decides that there is not enough evidence of guilt to prove the crime but the judge still thinks that the defender is most probably guilty. It must be noted that the people who swear in Qassameh are not usually direct witnesses to the crime. Issuing an execution verdict without enough evidences, and just because the plaintiff’s family thinks the defender is guilty, is not acceptable in any kind of modern legal system and should be considered a violation of the Universal Declaration of Human Rights, especially Article 10. Mohammad Taghi Fazel, a Shia cleric and a member of the Assembly of Qom Seminary Scholars and Researchers, said to IHR that Qassameh is not an unchangeable and holy order of God. “It was a way to prove a crime in Arab society which existed even before the Prophet Mohammad,” he said, “Qassameh is not something that Islam directly ordered…”. Mojtaba Ghiasvand, the other prisoner who was hanged for murder charges while there was no hard evidence proving his guilt and his verdict was issued through Qassameh. According to a source close to IHR, Mojtaba Ghiasvand was executed at Rajai Shahr Prison on Monday, October 30, 2017. "A person was killed during a tribal dispute in Loshan (Gilan province, northern Iran) in 2008 and the victim's family accused Mojtaba of murder. Mojtaba always claimed that he was in Tehran at the time of the dispute. He was sentenced to death without any hard evidence or even a confession," one of Mojtaba's cellmates told Iran Human rights (IHR). Mojtaba's brother has also told IHR that there was some kind of tribal dispute and since there was no hard evidence for the guilt of the defendant, dozens of the people from the plaintiffs' tribe swore an oath on the Quran that they knew Mojtaba is the murderer. None of those 50 people were witnesses of the crime. Four years ago, Saleh Shariati, then a 16-year-old boy, went to work at a farm along with his father. At the farm, one of the workers fell into a well and lost his life. Saleh was arrested by the police. His father says that Saleh was under torture to confess and accept that he committed the crime. His trial was held but there was not enough evidence to convict Saleh, other than a confession under torture. The forensic medical examination did not provide any evidence on the victim’s body linking Saleh to the murder. The judges asked the plaintiff to gather more than 50 men from their family to swear an oath to the holy Quran that Saleh was the murderer. They did so and subsequently, Saleh was convicted of murder and sentenced to qisas death penalty. The Supreme Court vacated the judgment but the Court once again used Qassameh (swearing an oath) and once again issued a death sentence in February 2018. Saleh, now 20, is being held at the Adel Abad Prison of Shiraz awaiting execution.